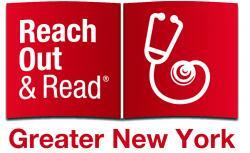 Reach Out and Read of Greater New York (ROR GNY) is a nonprofit organization that promotes early literacy and school readiness in pediatric exam rooms nationwide by giving new books to children and advice to parents about the importance of reading aloud. The program builds on the unique relationship between parents and medical providers to develop critical early reading skills in children, beginning at birth to age 5. As a 501(c) 3 regional affiliate of a national, early literacy program, ROR GNY annually serves 275,000 children including low-income children. We have 233 sites participating in the ROR GNY program locations. Our geographic reach includes all five boroughs of New York City, Long Island, and the Hudson Valley.